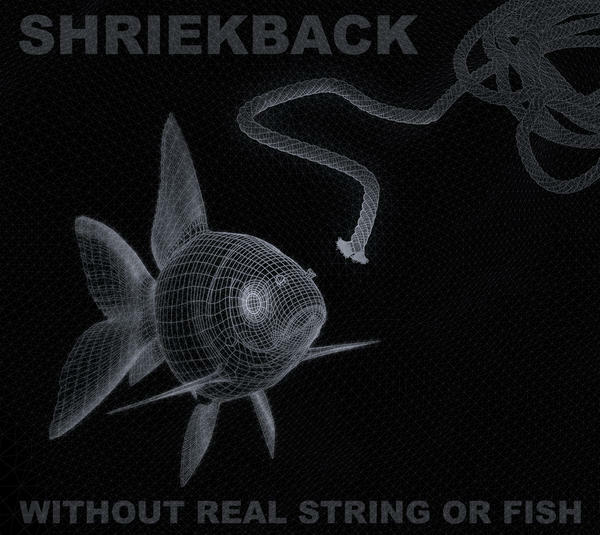 Shriekback: Without Real String or Fish (2015). 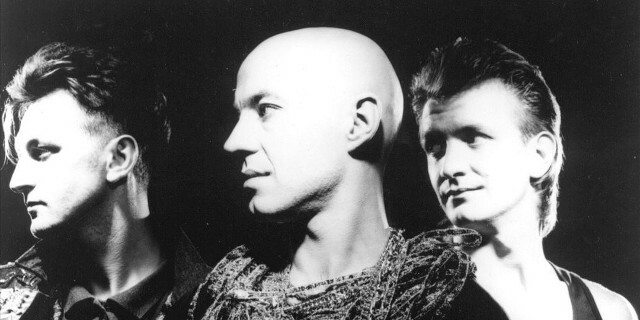 For a band formed in 1981, Shriekback have certainly had a couple of notable breaks in their productive career; there was a four year gap between the more commercial sounds of Go Bang! of 1988 to the experimental and despairingly largely ignored Sacred City of 1992. Then there was a long gap from then to Naked Apes and Pond Life in 2000, an album which was showed great diversity of style and their trademark eerieness, but still lacked the famed early slap-bass and thumping tempo. Nevertheless it set off a small revival with five albums released between 2000 and 2010 – and then another long break until Without Real String or Fish in March 2015. Since then they have also released another compilation and collection of old oddities, The Island of the Hopeful Monsters. Without Real String or Fish is without a doubt, a return to the Shriekback of old. Unlike their previous album, Life in the Loading Bay – which is a fine album in its own right, albeit in a different style – this comes out punching with ‘Now Those Day A Gone’, with a fast tempo, heavy bass and drum, and, in their characteristic ‘big band’ style, powerful backing vocals. It sets the scene for a number of slower, more ethereal tunes with complex instrumentation, including ‘The King in the Tree’, and ‘Soft Estate’. ‘Woke Up Wrong’ is heavier, faster, and interestingly has some jazz piano added to the mix, but a really impressive tune with plenty of electronica, vocal changes, and a light industrial sound is ‘Beyond Metropolis’. Famous for their lyrical content (how many others have included ‘parthenogenesis’ in a dance track? ), one cannot help to think they’re teasing with their constructed words in this song with such gems as; ‘Exnovotechnikageopolis’, ‘Chromosoniradiopolis’ and ‘Intoxivinopharmanarcobibendopolis’. Lest anyone would think they were being paid by the letter rather than having a bit of fun should put to rest, with its numerous historical and political allusions, in a Leonard Cohen-style ballad, ‘Ammonia Tree’, which including the clever reference to “teutonic plates”. With its pun in the title, ‘Recessive Jean’ follows up with a strong bass introducing and leading to some nice creepy effects, itself a lead to ‘Horrors of the Deep’ a beautiful melodic piece, which is like Nick Cave plus ‘Underwaterboys’. It is certainly one of the best tracks on the album and leads well to the subsequent ‘In The Pylons’ providing a spectral instrumental continuation of the theme which finishes with ‘Man of Foam’ with an interesting piano and bass combination. Interestingly, the final two tracks ‘And Everything Like That’ and ‘Bernadette’ are not the strongest on the album, albeit the latter has some nice Western-gothic elements. Overall however this is superb piece of work with a few absolutely stand-out pieces and with a consistent high-quality throughout. To be sure, there is little here that will appeal greatly to mainstream tastes who will fine their sounds too eldritch and their lyrical content too disturbing, but for those who know and love Shriekback deeply, this is something that will generate great appeal, with its appeals to their evolutionary themes, grounded other-wordliness, and lyrical genius. There are no real weak points on this album, and as a result it should eventually receive favourable critical recognition. George Matzkov’s tracks from lost 1980s Perth alternative bands.